Michael F Herman received his PhD in Theoretical Chemistry from the University of Chicago in 1980. He has been on the Faculty of Tulane University since 1981. His work has focused on the development of semi-classical methods for modeling chemical systems. He also has developed a model for polymer dynamics in the melt, and is studying the influence of intermolecular dipolar couplings between molecular vibrations on isotopic fractionation processes. A semi-classical method will be presented that describes the time dependent tunneling of a quantum wave packet encountering a barrier. Tunneling through barriers plays a significant role in many reactions. The method described in this talk uses an approximation to the standard semi-classical stationary phase method. The approximation employed in this work leads to real valued tunneling trajectories, while most methods for this problem employ complex valued trajectories. Using only real valued trajectories will have significant advantages in applications to larger systems. 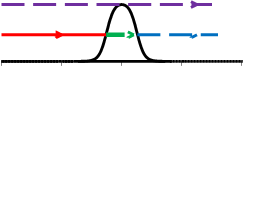 It is found that there are typically three of these approximate stationary phase contributions to the wave function for each point r in the transmitted region. Two of these have energies very close to the barrier top, one slightly above the barrier top and the other slightly below it. The third approximate stationary phase contribution is at a lower energy. Difficulties in obtaining accurate values for the contributions from trajectories with energy very close to the barrier top will be considered, and the accuracy of the approximate stationary phase wave function will be discussed. 1. Herman M F (2015) Semi-classical time dependent tunneling using real trajectories. J. Chem. Phys.143: 164110 (2015). 2. Herman M F (2015) Improving the efficiency of Monte Carlo surface hopping calculations. J. Phys. Chem. B. 118: 8036-8033. 3. Herman M F (2014) Analysis of a surface hopping expansion that includes hops in the classically forbidden regions. Chem. Phys. 443: 12-21. 4. Herman M F (2010) The calculation of multidimensional semiclassical wavefunctions in the forbidden region using Rea; valued coordinates. J. Chem. Phys. 133: 114108. Karl Ulrich Kainer has studied Materials Science from the University of Applied Science Osnabrueck and Clausthal University of Technology. He obtained his PhD degree in Materials Science from Clausthal University of Technology in 1985 and his Habilitation in 1996 on Magnesium Matrix Composites. From 1985 to 1999, he was the Head of the Light Metal, P/M and Composite Group at the Institute for Materials Science and Technology. 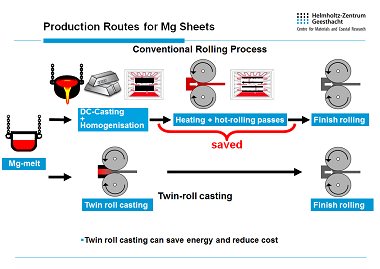 Since 2000, he is the Director of the Institute of Materials Research and the Magnesium Innovation Centre at Helmholtz-Zentrum Geesthacht and Professor for Materials Technology, Hamburg University of Technology. He has over 30 years of experience working in the area of Light Metals (Al, Mg and MMC’s). He has published more than 320 ISI-listed publications and more than 400 Publications in proceedings and non JCR listed journals. He is member of a number of professional organizations (ASM Int., TMS, German Society of Materials (DGM), Association of German Engineers (VDI) and ASTM Int.) He is Member of the Board of Directors and the Executive Committee of the International Magnesium Association (IMA). In the recent years, Mg alloys have made inroads into applications in transportation industries. Their favorable property profile like high specific strength, good machinability, recyclability promotes increased usage. Despite magnesium alloys being in service for almost 100 years, there is still a lack of knowledge regarding the potential of Mg alloys. New alloys and new or optimized processes are creating new ideas to substitute traditional materials. However, the implementation of new alloys and advanced processes has many hurdles and hindrances like: Market issues - Price, costs, availability, readiness for market etc. ; completeness of the development, unsuitable processes for upscaling from laboratory to industrial scale; inadequate properties after upscaling i.e. strength, ductility, corrosion behavior, crash worthiness; and life cycle assessment issues. In this presentation one example will be discussed: Issues of the implementation of new magnesium sheets for automotive applications. Despite the massive progress achieved in the growth of carbon nanotube (CNT) forests on substrate, besides lithographic patterning of the catalyst, little has been done to selectively (locally) control CNT height. Varying process parameters, gases, catalysts, or overlayer materials uniformly affects CNT height over the whole substrate surface. We will show here how we can locally control CNT height, from no CNTs to up to 4X the nominal CNT height from iron catalyst on alumina underlayer by patterning reservoirs or by using overlayers during annealing or growth. We pioneered the concept of reservoir showing how an iron thin film reservoir placed below the alumina underlayer almost doubles CNT height and how a copper/silver thin film reservoir deactivates the iron catalyst placed above it. We will also show how different thin film reservoir materials can enhance CNT growth by a factor of 4X. We also pioneered the concept of overlayer, where a copper stencil or bridge placed above the catalyst surface during pre-annealing or during CNT growth deactivates the catalyst. We showed how we could pattern regions with CNTs and without CNTs by simply annealing the sample with a patterned overlayer positioned above its surface. Using nickel overlayers, we obtained a similar result but with a completely different mechanism. We thus synthesized patterned CNT forests using a simple process, without the need for lithography. We can now combine the overlayer technique with one of the above-mentioned reservoirs (no reservoir, Cu/Ag reservoir, or Fe reservoir) to further modulate CNT growth by offsetting some or all of the growth enhancements achieved using the reservoirs. This modulation of the CNT height is a significant improvement compared to the "CNTs (one height)/no CNTs" patterning that has been achieved using lithography of the catalyst, and moves us closer to building 3D architectures of CNTs. 1. Teblum E, Itzhak A, Shawat-Avraham E, Muallem M, Yemini, R, Nessim G D (2016) Differential preheating of hydrocarbon decomposition and water vapor formation shows that single ring aromatic hydrocarbons enhance vertically aligned carbon nanotubes growth. Carbon 109: 727-736. 2. Yemini R, Muallem M, Sharabani, T, Teblum E, Gofer Y, Nessim G D (2016) Patterning of forests of carbon nanotubes (Cnts) using copper overlayers as iron catalyst deactivators. J. Phys. Chem. C 120: 12242-12248. 3. Shawat E, Mor V, Oakes L, Fleger Y, Pint C L, Nessim G D (2014) What is below the support layer affects carbon nanotube growth: An iron catalyst reservoir yields taller nanotube carpets. Nanoscale 6: 1545-1551. 4. Nessim G D, Al-Obeidi A, Grisaru H, Polsen E S, Oliver C R, Zimrin T, Hart A J, Aurbach D, Thompson C V (2012) Synthesis of tall carpets of vertically aligned carbon nanotubes by in situ generation of water vapor through preheating of added oxygen. Carbon 50: 4002-4009.